Who would have thought? - ("...um... hello... me... I would...uh... hello?...) - Wisdom is the retention of innocence through adversity. 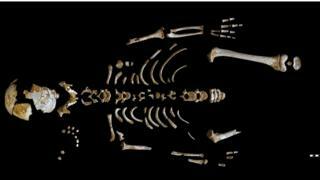 Proof that Neandertal was as, or perhaps, more intelligent or creative than us. Neanderthal brains 'grew more slowly' This supports the idea that they were a highly social, familial species, inclined towards abstract rationalisations such as morality, justice and or religion, just like the elephants, yo. And they probably skirted away into caves and tunnels, just to get away from Homo Wise Guy, just like Big Foot does today, especially in New York. For more about Neandertal, see more about Neandertal.